Last week, a 22-year-old Frenchman who goes by the online name Z-Mack released the seventh major update to Dragon Ball Z: Team Training, a hack of an old Pokémon game where you can catch all of your favorite characters from Dragon Ball Z and have them fight against each other in the Pokémon world. Dragon Ball Z: Team Training’s seventh update adds 15 new fighters (and their transformations), including Mastered Ultra Instinct Goku and Super Saiyan Blue 2 Vegeta. It switches the Pokemon FireRed wild encounter theme music with Dragon Ball Z battle music and replaces the Pokemon FireRed end credits theme with the Dragon Ball Z anime ending theme song “We Were Angels.” The ROM hack, which has been around since 2015, was created by and is currently being updated by Z-Mack, a Frenchman who has loved both Pokemon and Dragon Ball Z ever since he was a kid. 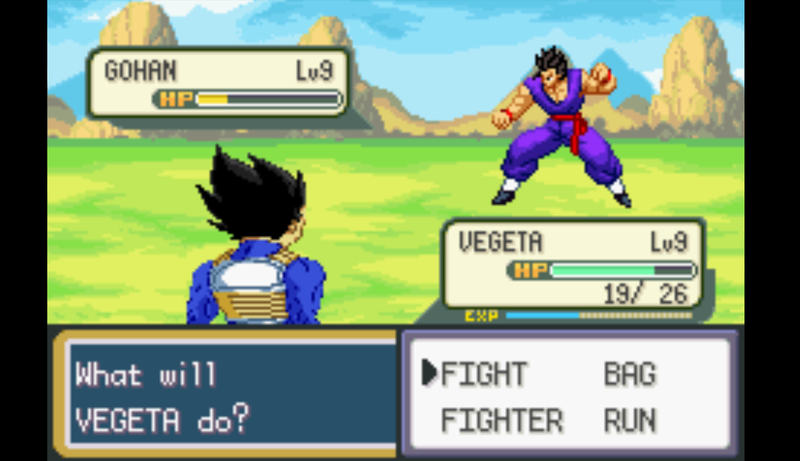 Dragon Ball Z: Team Training is a free ROM hack or mod of the 2004 game Pokemon FireRed. You play as a fighter trainer whose goal is to collect all eight Saiyanbadges, defeat the Four Kais of the Dragon League, and complete your Scouter by collecting all of 165+ fighters in the world. Instead of starting in Pallet Town, you begin your journey in Mount Paozu. Professor Oak is replaced by Dr. Brief. Rather than choosing your starter between Bulbasaur, Charmander, and Squirtle, you get to select between Goku, Vegeta, and Gohan. And you can find all seven Dragon Balls scattered throughout the world in order to summon the eternal dragon Shenron. In 2014, Z-Mack stumbled upon Operation Digimon: Digipedia, a ROM hack which replaces the Pokémon sprites with Digimon sprites. It inspired him. Using online resources, he began to teach himself how to edit sprites. After months of fiddling around with these online programs, he felt that he was ready to start working on making his childhood dream a reality. In the same year, Z-Mack began to work on a ROM hack what would later be known as Dragon Ball Z: Team Training. It took him a year to complete the first version of it. Using the Pokémon FireRed ROM as a base, he replaced the Pokémon sprites with sprites of Dragon Ball Z characters. He didn’t create all the sprites that were implemented in the ROM hack. Some were plucked out of other Dragon Ball Z games and others were created by various artists, whom he credits. The ones Z-Mack did make individually took at least two days to create. The process involves taking existing models from DBZ episodes and resizing them through multiple programs in order to make them fit into a GBA game. He also edited the attack animations, which he admitted was his favorite part of the ROM hack. In September 2015, he shared the first version of it with the rest of the world. His game remains a project that he said he takes very seriously. According to Z-Mack, he spends about four to five hours per day or 30 hours per week working on the ROM hack, which he said has positively affected other aspects of his life and identity. People on Etsy and Amazon are selling Z-Mack’s DBZ: Team Training on GBA game cartridges. They usually go for around $20. Making Team Training helped Z-Mack learn the basics of programming and computer science. He also thinks it made him a better person and a better student. He says that the often time-consuming, tedious, and difficult processes Z-Mack had to learn and apply in order to create the ROM hack taught him about perseverance. Over the course of the one year that it took to create DBZ: Team Training, he found himself demoralized “many times, like 20 times” but he says he never thought about giving up, because “giving up would mean a defeat.” He began to apply this way of thinking to other challenges and obstacles he’d encounter in his life, such as his studies in physics. His way of thinking also changed. While it wasn’t a sudden amazing change, he told me, it was still an invaluable and lasting one. “When people thank me and tell me that it was also a childhood dream for them to play a game like that, it makes me feel very happy.” Z-Mack told me. He followed that message with a smiling emoji.